The Grand Junction Police Department is passing on this information as the Larimer County Sheriff’s Office continues to investigate a number of shootings in Northern Colorado. Homicide in Loveland on June 3rd (http://bit.ly/1B4cfkS). The Task Force is interested in talking to anyone who was near the area of E. 1st Street and St. Louis Avenue in Loveland on the night of June 3rd between 10:00 and 11:00 pm. This includes vehicular, bicycle, and pedestrian traffic in that area. The Task Force is also interested in speaking with an individual who was driving a white Ford SUV on May 18th near Weld County Road 72 and Weld County Road 15. The Task Force believes this person may have important witness information for the investigation of the homicide in Windsor. Task Force Commander Captain Robert Coleman has assigned a unit of the Task Force to continue investigating all reports of shattered vehicle windows in the area. To date, there is no evidence that links these reports to the three cases under investigation by the Task Force. Anyone with information regarding any of these incidents is asked to call the Task Force Tip Line at 970-498-5595 where you will remain anonymous. You may also send an email to taskforce@larimer.org with information regarding any of these incidents. The Federal Bureau of Investigation is now offering an increased reward of up to $20,000 for information leading to the arrest, prosecution, and conviction of the individual(s) responsible for the above crimes. 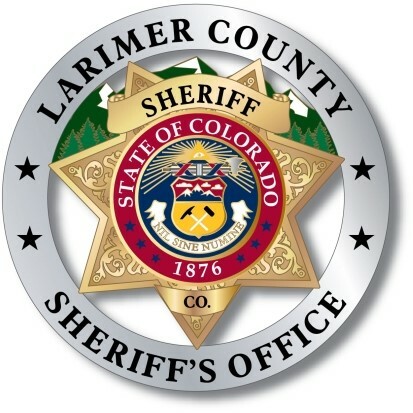 Larimer County Sheriff’s Office Public Information Officer David Moore continues to serve as the sole point of contact for media regarding the Task Force investigations.